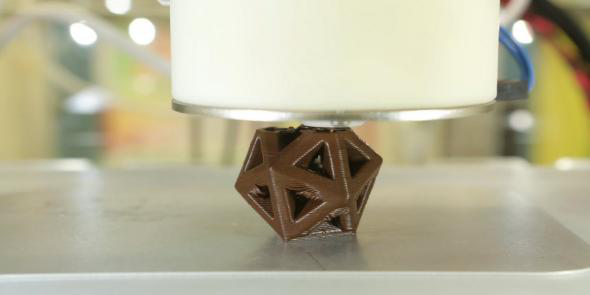 Hershey chocolate 3-D printer makes Kisses. The beginning of a 3-D-printed chocolate kiss. Hershey’s and 3D Systems are collaborating to make the candy of the future. The chocolate company is planning to unveil a 3D Chocolate Candy Printing exhibit at Hershey’s Chocolate World in Hershey, Pennsylvania, according to RetailingToday. People who visit the exhibit will be able to print and purchase their own chocolate. They can also see what they look like as 3-D chocolate molds. This is where 3-D-printed chocolate is made. 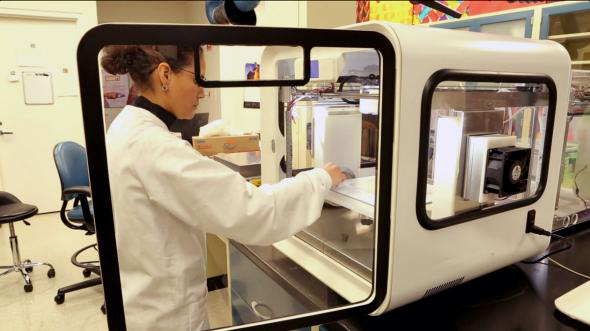 3-D printing has been on the rise and could become a $13 billion industry. “This exhibit is a great example of co-creation with consumers. 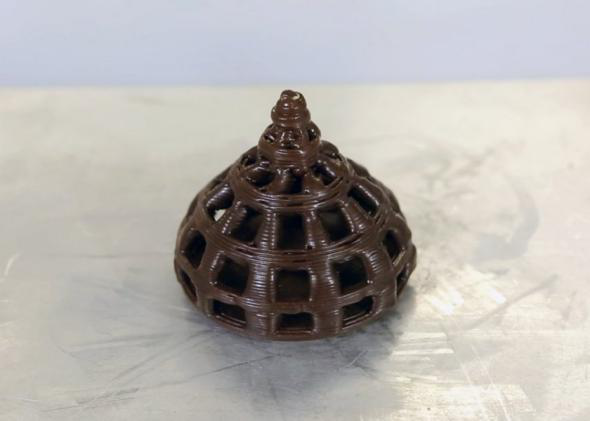 They will be instrumental in shaping the future of commercially available 3-D chocolate printing,” Hershey Co.’s chief research and development officer, Will Papa said in a news release. 3Ders.com reports that the exhibit will be open to the public Thursday, but until then, you can watch a video of the chocolate 3-D printer in action below.